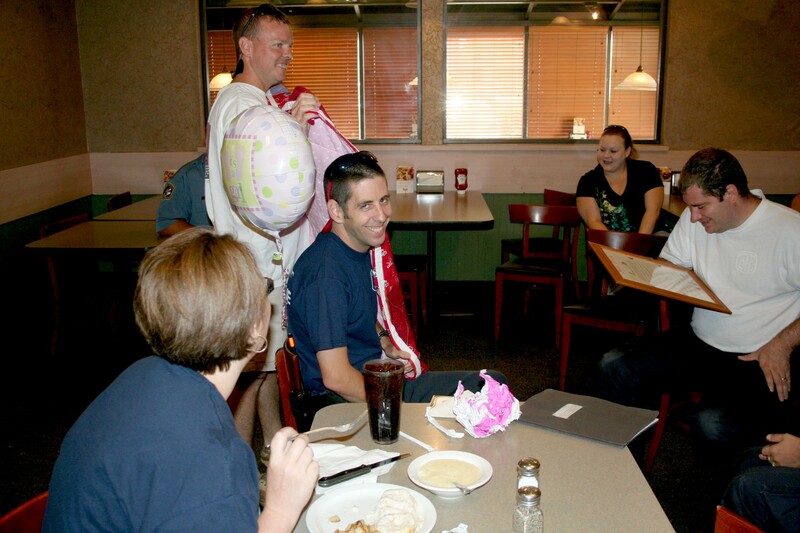 "A" Shift's crew threw a surprise baby shower for Firefighter-Paramedic Trae Wright, Saturday morning 29-June at the Walterboro Shoney's Restaurant. FF-P Mary Allison coordinated the shift event and spent weeks preparing everyone. Click here for more information. 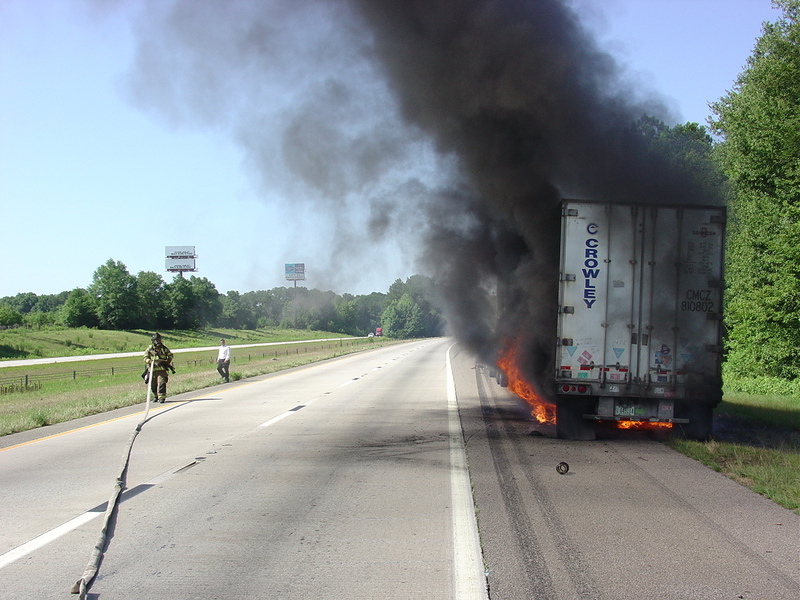 Stations 1, 5, 26, and 27 responded to a tractor trailer fire on I-95 at the 56 mile marker southbound, 27-June at 08:50. The trailer experienced problems in the area of the rear wheels causing a fire that extended into the cargo area, igniting the load of 25 pound bags of dog food. First arriving units encountered heavy fire conditions under the trailer which were burning up the exterior sides of the trailer. Click here for more information.